Arabic is one of the world’s major languages, and this degree will allow you to become proficient while you build your understanding of the cultural and historical contexts that have shaped the Middle East. You’ll benefit from a firm grounding in spoken and written Arabic – which you’ll strengthen by spending a year in an Arabic-speaking country – while gaining insight into the cultural, social and political issues that have shaped the Middle East. You could even learn Persian or Turkish. At the same time, you will build critical, analytical and advanced communication skills that are popular with employers. We combine core and optional modules to give you a firm foundation in language study while allowing you to shape your degree to suit your interests in Middle Eastern Studies. Leeds provides everything you need to build a real understanding of Arabic and the cultures that have shaped it. Our departmental archive holds 500 Arabic manuscripts and as many as 10,000 archaeological artefacts ranging from Pharaonic to early Palestinian eras, offering plenty of original sources for research. These are complemented by our excellent library resources – and the University Library runs free classes and workshops so you can learn how to use them. You'll have access to specialised computing facilities for translation studies and dedicated Interpreter Training Suites so you can explore different career options. There is also a fully equipped Language Zone with digital language labs, audio-video practice booths and Computer Assisted Language Learning (CALL). Your first year will introduce you to the modern history and politics of the Middle East, while we support you through language classes to improve your Arabic skills. Then, you’ll broaden your understanding and develop your language skills further as you spend your second year in an Arabic-speaking country, combining Arabic lessons with the freedom to get out and explore the fascinating culture. By the time you return to Leeds, your Arabic skills will be ready to refine in core language modules across the next two years. However, you’ll also choose from a variety of optional modules so you can build a degree that suits you, whether you’re interested in Arab cinema, the relationships between Islamic countries or the role that Islam plays in contemporary society. We use a variety of teaching and learning styles. Your lecturers are all experts in their fields, and you will be able to benefit from their knowledge in lectures, small-group seminars and tutorials. Workshops may also be part of the mix in some modules. However, the biggest difference between school and university is that independent learning is a much bigger element of your studies, allowing you to build your research skills and think critically about the range of different sources you can access. We offer plenty of support on everything from choosing your modules to making the most of our excellent library resources. We also use various types of assessment. Exams and essays are a significant part of this, but in some modules will include group work or presentations. We offer support in these areas as well – for example, we run extra classes on skills such as public speaking, structuring essays and exam technique that you’ll be able to attend throughout your time at Leeds. This degree combines rigorous Arabic language study with deep cultural insight. As a result, it equips you with a whole range of skills that will help you in a range of careers. You’ll be able to research complex topics and assess information from different sources, thinking critically about what you find to form your own conclusions. You’ll then be able to communicate your views clearly, both verbally and in writing. Creativity, teamwork, time management and organisational skills will all come into play throughout your degree. Graduates have gone into a wide range of careers. 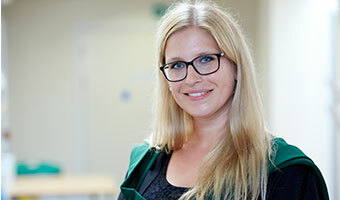 Some of them have worked in language-specific roles, such as translating, interpreting and teaching, or pursued postgraduate training in these areas to help their career ambitions. But others have launched careers in the civil service, journalism, business and finance, think tanks, tourism, the charity sector and even global organisations like the United Nations. 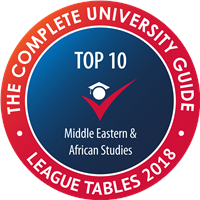 There are also a range of options allowing further specialisation in Arabic, Islamic and Middle Eastern Studies at Masters level, which can lead to PhD study and a career in academia. You’ll spend your second year in an Arabic-speaking country. It’s a fantastic opportunity to immerse yourself in another culture, and when you’re not in your intensive language classes there will be plenty of time to travel and explore. For many of our students, it’s the highlight of their course.